Amazing megalithic art carved on the underside of the roof stone in the east recess off the main chamber inside the mound at Newgrange. Another view of the megalithic art carved on the roof stone of the east recess off the main chamber inside the mound at Newgrange. Unfortunately the slab has cracked and two sections have moved slightly out of alignment. the final roof slab is 12 ft (3.6m) above the floor. 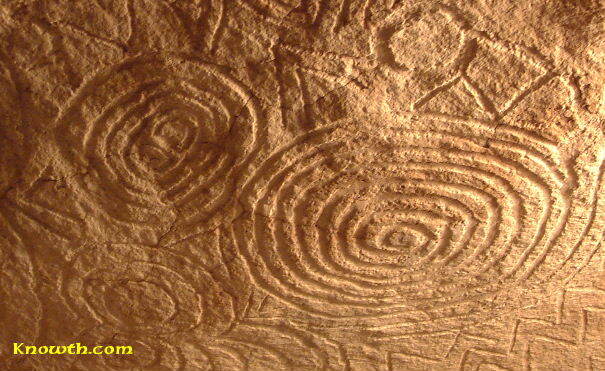 Spiral symbols at the back of the west recess off the main chamber. 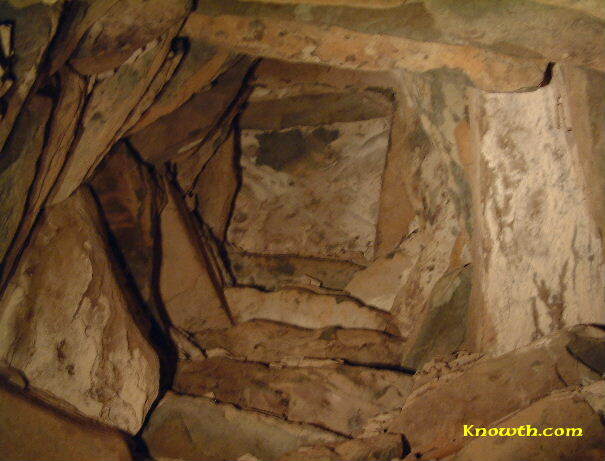 Roof slab over opening to passage from the chamber at Newgrange. Corbel at back of east recess. from the entrance so that the roofbox is lined up with the chamber. 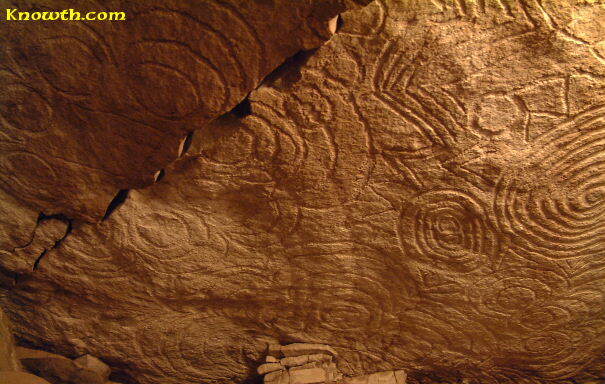 The tri-spiral design (above) on orthostat C10 in the north recess at the back of the chamber at New Grange is probably the most famous Irish Megalithic symbol. 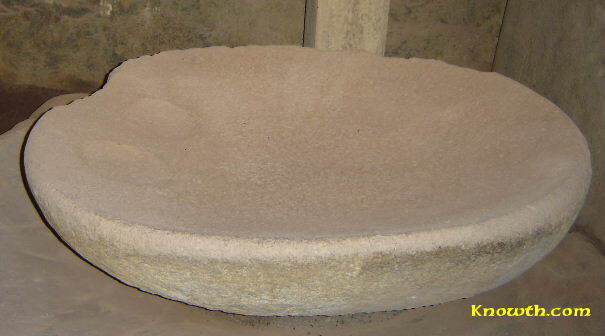 The design is often called a triple spiral; however archaeologists call it the three-spiral stone. 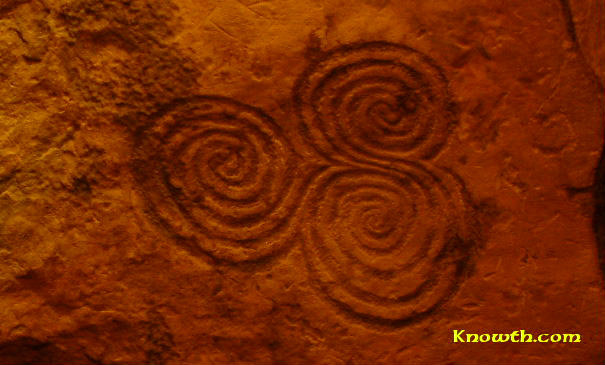 The tri-spiral is often referred to as a Celtic design, however it was carved about 2500 years before the Celts reached Ireland. 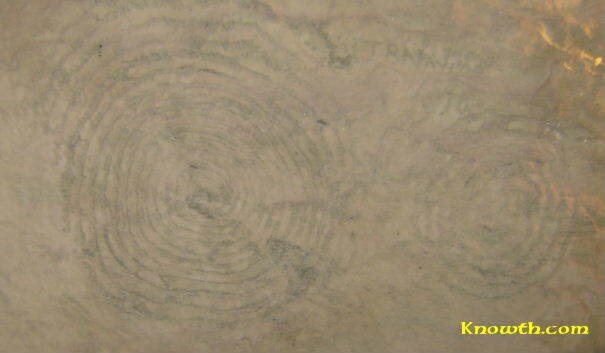 The tri-spiral design is quite small in size at 30x28cm (12x11 inches) which is less than one-third the size of the similar design on the entrance stone. This interesting symbol (left) from the side stone of the west recess looks like a representation of a fern or maybe a sheaf of wheat. 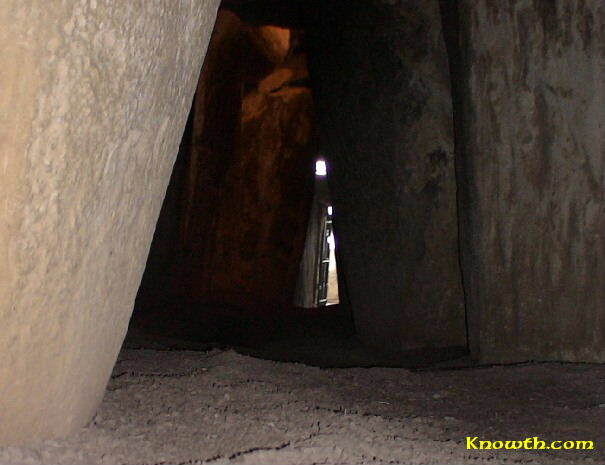 More images from the interior of New Grange.